Join our Sofia and Plovdiv Day Trip. We will spend the day exploring communist monuments, built in the 1950s. Get to know what everyday life and the communist regime were like. We start our Sofia and Plovdiv Day Trip with a pick-up from your accommodation in Sofia. First, we go to see the Communist monuments in Sofia. These are the Soviet army monument and the Mound of Brotherhood in the Borisova garden. Next we drive to Plovdiv, the second largest city in Bulgaria. 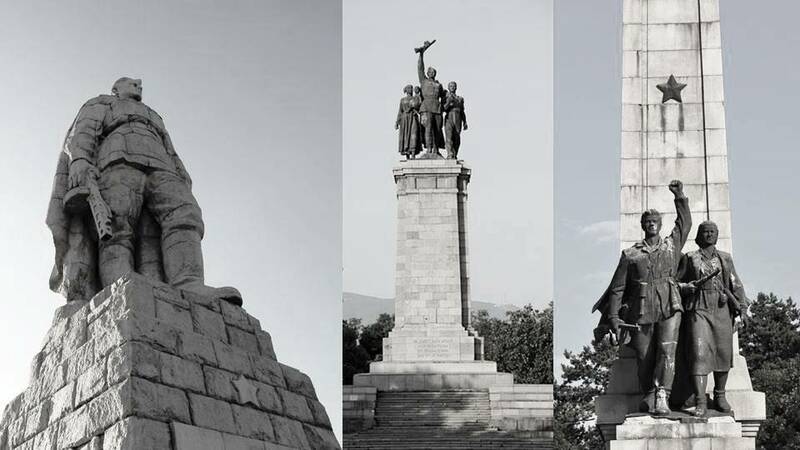 Our Sofia and Plovdiv Day Trip continues with sightseeing of Alyosha monument. This is a Soviet army monument, built in 1954-1957 in Plovdiv. It represents the figure of a Soviet soldier, 11 metre high. In addition, we will visit Kapana, the art area of Plovdiv. Here we can have optional lunch and you can taste local food and drinks. With this our Sofia and Plovdiv Day Trip is coming to an end. In the late afternoon we will drive back to Sofia and we will drop you off at your accommodation. Price of the Sofia and Plovdiv Day Trip: on request Write to us and let us know when you want to have a tour. Departure dates for the Sofia and Plovdiv Day Trip: every day on request. Sign up at info@nvisiontravel.com.